The 2012 summer blockbuster season has arrived, with the biggest film slated to hit theaters this weekend: The Avengers. Long overdue, the most dominant superhero click in the Marvel universe has finally assembled on the big screen, culminating into a euphoric ardor that hasn’t been shared amongst comic book fans since The Dark Knight release. In retrospect, the anticipation amongst Marvel fans has been present since the first Iron Man film, inspiring a number of diehard cosplayers to create their renditions of Tony Stark’s high-tech suit. Looks like a little imagination does goes a long way. See for yourself. 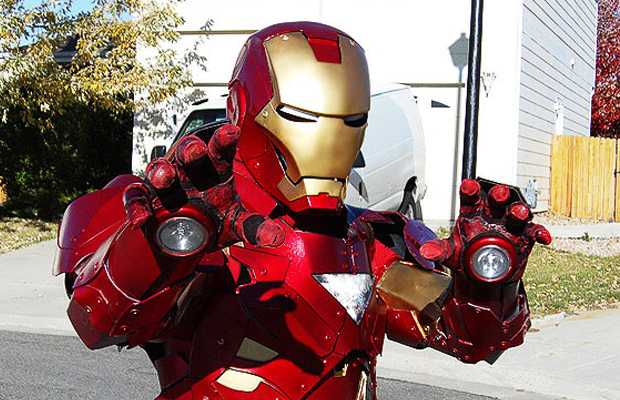 Here’s a collection of 10 Awesome Real-Life Iron Man Suits. Avenger Assemble! Marvel nerds can also check out our collection of awesome Fan-Made Avengers posters.